Researchers are a highly skilled and mobile part of the workforce. However, moving from one country to another can cause complications in terms of the transfer of state pension and supplementary pension rights. If you've worked in several EU countries, you may have accumulated state pension rights in each of them. You'll have to apply to the pension authority in the country where you're living or you last worked. If you've never worked in the country where you're living, your host country will forward your claim to the one you last worked in. That country is then responsible for processing your claim and bringing together records of your contributions from all the countries you worked in. Supplementary pensions are retirement, survivors' or invalidity pension schemes designed to supplement or replace state pensions. If you leave a supplementary pension scheme because you move to another EU country to work, you have the same rights as people who stay in the same country but stop paying contributions. However, due to the fragmentation of the European pension landscape you may encounter difficulties in preserving your supplementary pension benefits when moving between different countries and changing jobs. To overcome this problem, the European Commission is supporting a consortium of employers in creating RESAVER, a single European pension arrangement tailor-made for research organisations and their employees. RESAVER will be a state of the art retirement savings product that will enable you to remain affiliated with the same pension fund when moving between countries and changing jobs. What is the difference between social security and pensions? The social security system in most European countries comprises the pension, sickness and health insurance systems, as well the national employment policy system and the non-contributory social benefit system. Therefore, pension benefits form only one part of social security. Can the EU regulate social security? Social security is one of the areas of exclusive national competence, meaning that the EU has no right to legislate on social security matters. The EU can, however, make rules on the way national rules are coordinated when a person moves from one country to another. What are the different pension pillars? First pillar pensions are the pensions provided by the state through pension contributions falling under social (Statutory or State Pension). Second pillar pensions are provided for the employee by the employer. They are also called "supplementary" or "occupational" pensions (Supplementary pension). Third pillar pensions are private pension schemes i.e. individual savings, often in the form of a life insurance. What type of pensions do researchers have? Most researchers have first pillar pensions. This requires an employment relationship between the researchers and his/her employer where they pay social security contributions. This is often supplemented by an occupational pension provided by the researcher's employer. Depending on the country, the first or second pillar pensions can carry more or less weight. What happens to researchers' pensions when they move? If a researcher moves within the European Union, the EEA countries and Switzerland, his/her first pillar pension (i.e. State pension) will be coordinated between the countries involved under EU social security coordination rules. With countries outside the European Union, bilateral agreements exist that govern the portability of pension rights. When the researcher retires, these rules will determine where and how much pension benefits the researcher receives. There are, however, no EU rules relating to the portability of second pillar pension rights, although they are in preparation. There is therefore a risk that the researcher loses some of his/her entitlements as a consequence of his/her move. Who can you contact about your different pension entitlements? For more information about the pensions offered by your institution, please go to Find your pension where you can select your country , your employer and find the pension benefits you are entitled to (both first and second pillar), as well as contact details for further questions. What is the pan-European supplementary pension fund for researchers? The pan-European pension fund is a project run the by the European Commission to create a common "pot" for occupational pensions between the employers of researchers in different countries. Contributing to one common pot would eliminate the risk of losing supplementary pension entitlements as a consequence of a researcher's move. Which employers belong to the fund? As the RESAVER pension fund will be established in 2016 no employers currently offer RESAVER to their staff. 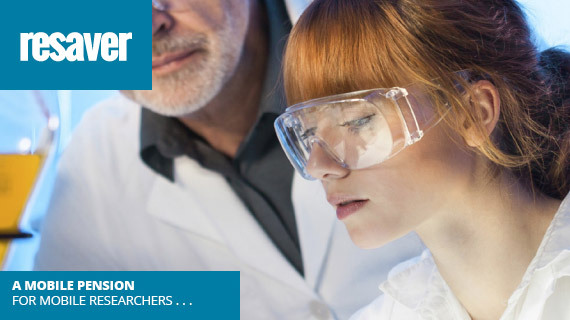 Where can you find more information about the pan-European pension fund for researchers? VBL project "Partnership for researchers"
"Find Your Pension" portal is part of the Supplementary pension institution of public sector employees in Germany (VBL) project 'Partnership for researchers'. The aim is to remove obstacles to the mobility of researchers employed in the public sector with regard to their pensions. The core issue is to improve information services for the target group of mobile scientists. VBL deals with the occupational pension schemes of most of the researchers in the public sector in Germany.